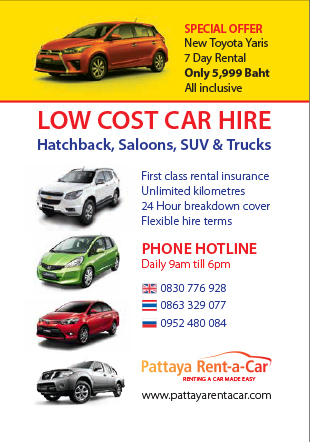 Is it easy for foreign companies to lease in Thailand, cars, real estate etc…? The law distinguishes between movable and immovable property, whereby a lease of immovable property is subject to certain restrictions. A lease of immovable property must be in writing to be enforceable. Further it is necessary for any lease of immovable property exceeding three years to be registered by the “competent official” at the land department. An unregistered lease will not be enforceable if the term exceeds three years. Leases may have renewal clause for additional periods of 30 years, however it should be noted that Thai law provides for only one such renewal. Leases for industrial or commercial purposes in very limited designated areas may have a term of up to 50 years. This again is renewable for periods of 50 years. The majority of authorities agree that any such renewal clause is enforceable as against the original lessor; not, however, as against a transferee lessor. For leases that are registered, there is a registration fee and stamp duty of 1.1% of the total rental amount of the term actually being registered (i.e. not including any renewal terms). 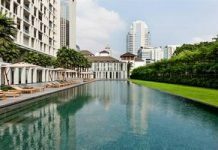 Apart from the above mentioned regulations there are basically no restrictions on a lease of a movable or immovable property by foreigners; with regard to leasing, foreigners are treated basically the same as Thais under Thai law. The law further provides for “Hire-Purchase Agreements”. According to Section 572 CCC is a hire- purchase “a contract whereby an owner of a property lets it out on hire and promises to sell it to, or that it shall become property of, the hirer, conditionally on his making a certain number of payments”. What could the advantages of leasing be for a company? The Board of Investment (BOI) and the Industrial Estates Authority has power to permit promoted companies to own land for the purpose of the promoted business. Permission can be granted under the Petroleum Act for use in approved projects. Banks and financial institutes that have become foreign owned. A foreigner who invests at least 40 million Baht in authorized securities in Thailand may buy up to 1 rai (1600 sq. m.) for residential purposes only of the owner and their family. Apart from the above mentioned exceptions, the lease of immovable property is the most common legal option to receive exclusive usage and possession rights over land in Thailand for foreigners. What are the circumstances of leasing? Do they have to put up security? Is it more expensive for foreign companies than for locals etc. Please see above. Security deposits are not required by law, but common. Foreign companies do not have to pay more by law. Are there anything that you will advise companies to be aware of when trying to lease in Thailand? This depends on the many possible varied circumstances, of course. For example, in the case of a land lease, it should be noted that currently 30 years is the standard maximum immovable property lease term and although the law provides for up to an additional 30 year renewal of the same lease, this is by no means guaranteed under current Thai law. It is quite common in Thailand for a land lessor in a long term lease relation to require that the lease is prepaid i.e. full payment in advance for the term the lease covers. 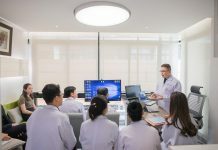 However, the revenue department in Thailand will only allow a company doing business here to account its lease expenses as a deductible expense on an annual accrual basis over the term of the lease. That means that a company will not be able to deduct the full expense against its profit in the year it actually pays and therefore only proportionally over the years of the lease. And much, much more….thus, in any and all events, DUENSING KIPPEN strongly advise that professional legal advice be sought before entering any such lease, or for that matter any, business in Thailand.